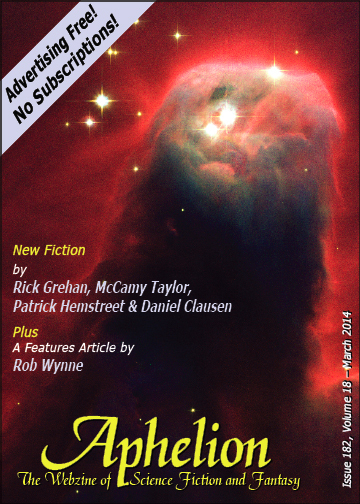 Aphelion • View topic - The March issue is now live! The March issue is now live! Re: The March issue is now live! Wow! And (almost) on the first day of the month, yet! Or new publishing goal is to come out in the evening of the first Sunday of the month. I believe I have read and provided feedback or positive comment on every piece in this month's issue! Hooray! You are to be commended. I'll offer you thanks on behalf of all the authors. Well obviously not every piece. It would have been egotistical to give positive feedback on my own piece. How did everyone like it by the way? I got feedback on my stuff in the forum but not in the issue. Was it too out there? I am interested in people's thoughts.